Belief in an old earth logically follows from Preterism. 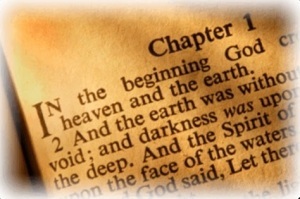 If the preterist view is correct and the end of the age did not bring about the literal end of the physical world in its entirety, then it is unlikely that the beginning laid out in Genesis 1 is a literal, scientific account of the creation of the physical world in its entirety. This view is corroborated by the fact that whenever a kingdom faced a major war, the Bible often describes the destruction of that nation as the destruction of heaven and earth itself. These predictions concerning the destruction of heaven and earth are attached to prophecies concerning the destruction of several kingdoms that had already been fulfilled at various points in Old Testament history. Furthermore, in Zechariah 14 the rise of a new sovereign nation is described in the Bible in imagery mimicking the steps of creation in Genesis 1. In The Earth is More than 6000 Years Old: How Young Earth Creationists have Misinterpreted the Bible the meaning of apocalyptic symbolism and creation imagery found elsewhere in the Bible is applied to Genesis 1 and the underlying meaning in Genesis 1 is brought to light. 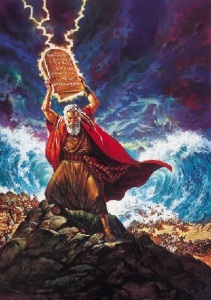 By using the Bible to interpret the Bible, Genesis 1 is shown, I believe conclusively, to be a poem describing the conquest of a kingdom by foreign powers wrapped-up in the imagery of the creation of heaven and earth. This interpretation harmonizes Genesis 1 with the implicit meaning of apocalyptic and creation imagery found throughout the rest of the Bible in a fully consistent way. This message implies that the earth may be much more than 6000 years old. Heaven and earth have been renewed at least eight times throughout Biblical history and the fulfillment of Biblical prophecy. 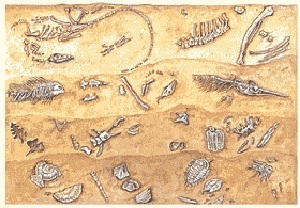 After the creation of heaven and earth in Genesis 1, the earth was then destroyed during Noah’s flood. Thereafter, heaven and earth were created anew during the Israelite conquest of Cannan (Isaiah 51), the Babylonian conquest of the middle east and north Africa in the sixth century B.C. (Jeremiah 4:23-26, Ezekiel 32:7-9, and Isaiah 34:4-5), the Medo-Persian conquest of Babylon (Isaiah 13:9-13), the Israelite overthrow of the Seleucids in the second century B.C. (Zechariah 14), the Roman conquest of Israel after its revolt against Rome in the first century A.D. (Revelation 6:12-14), and the Christian defeat of Muslim occupied Jerusalem during the first Crusade in A.D. 1095 (Revelation 20). Interestingly, each instance of the destruction or creation of heaven and earth marked either a new covenant made between God and Israel (Genesis 1-3; 9:1-15; Isaiah 51), a temporary pause in God’s covenant with Israel (Jeremiah 4:23-26; Ezekiel 32:7-9; Isaiah 34:4-5; 13:9-13; Zechariah 14) or a permeant end to a previous covenant made between God and Israel together with the establishment of a new covenant (Revelation 6:12-14). In Isaiah 65, Isaiah predicts that physical death continues in the new Jerusalem after the end of the age. This means that when Jesus brought eternal life by conquering death in fulfillment of 1 Corinthians 15:22 that this “life” was not physical life but rather spiritual life (i.e. the afterlife in heaven). The “life” that Jesus brought through his sacrificial death should entirely repair the curse of death caused by the sin of Adam. This fact implies that the curse of Adam was not physical death but rather spiritual death (i.e. consignment to the spiritual realm of death called Sheol to await the resurrection). Because the fall of man instituted an age of spiritual death, not physical death, the fact that millions of years of physical death preceded the fall of man is therefore not a sound argument against old earth creationism. Whenever a nation was conquered by another, the Bible often portrays this conquest as the destruction and creation of heaven and earth. Though not the very first man ever, Adam was the first man at the creation of a then new heaven and earth. According to Galatians 4:26, Hebrews 12:22 and Ezekiel 27-28, both Eden and the New Jerusalem are places in both heaven and earth. Thus Genesis 2-3 tells a heavenly story with an earthly shadow. At its heavenly level, Genesis 2-3 is a story about Adam being cast out of the Eden that is in heaven to Earth. 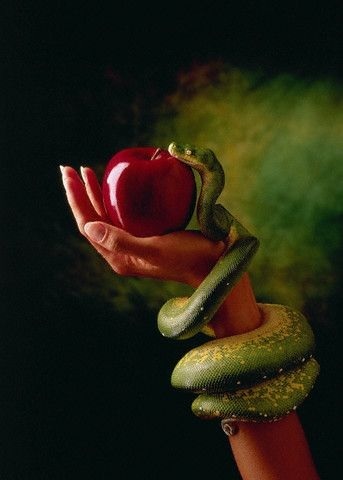 The curses of Genesis 3:14-19 were the result of Adam, the Serpent and Eve being cast from heaven to earth to experience these punishments in a world that had presumably already been this way for millennia. The metamorphoses that occurred to their bodies after the fall were a change from their previous heavenly bodies to more corruptible earthly ones as a consequence of being cast from heaven to earth. This change is the opposite of the change from earthly to heavenly bodies at the resurrection according to 1 Corinthians 15:35-44. At the fall, Adam inaugurated a new age of spiritual death which came to a close at the resurrection of the saints to heaven at the end of that age. The resurrection, therefore, represents a kind of return to the Eden of Heaven. At its earthly level, Genesis 2-3 is an allegory about two children growing up. 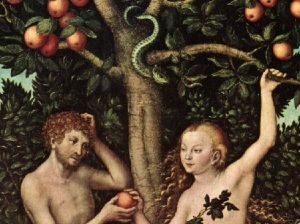 When Adam and Eve ate of the tree of the knowledge of good and evil, this act signified that Adam and Eve had reached the age of knowing right from wrong. Now knowing right from wrong, Adam and Eve then lost the innocence that pardoned them of sin in their youth (Isaiah 7:16, Romans 5:13). They were then, therefore, guilty of their sins. This story is also our story. In Genesis 1 Adam was cast from the Eden of heaven to earth. As a result, his heavenly body was changed into a corruptible earthly one. This change from a heavenly to an earthly body is the opposite of what occurs at the end of the age at the resurrection to heaven. It is correctly supposed in Christian circles that Jesus’ resurrection body was to be a model of the resurrection bodies of the saints. According to Acts 9:3-6 and Revelation 1:13-16, Jesus’ resurrection body was further glorified after his ascension into heaven such that it took on a form like that of the Father and the heavenly host–beaming with glorious radiance. The resurrection bodies of the saints are expected to experience a similar transformation according to Daniel 12:2-3 and Matthew 13:43. These vs. are confirmed by NDE’s. NDE’s often report seeing loved ones in heaven appearing as beings of light similar to Biblical descriptions of the risen Christ, the heavenly Father and the angels of heaven. 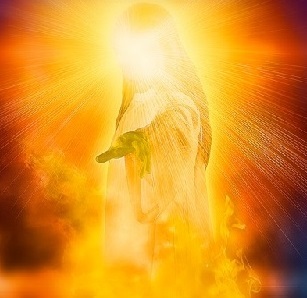 NDE’s and outside expert testimony also explain why Jesus’ resurrection body closely resembled his earthly body prior to his ascension. Though easily missed, the imagery in Zechariah 14 follows the steps of creation in Genesis 1:1-10. In this article it is shown that the predictions in Zechariah 14 were fulfilled surprisingly literally during the Maccabean Wars of the second century B.C. The fact that Israel’s overthrow of the Seleucids follows the steps of creation in Genesis 1 has important implications for the age of the earth and the implicit message underlying Genesis 1.